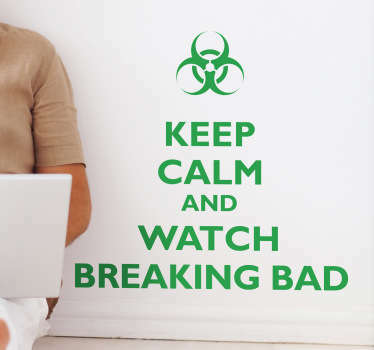 A collection of wall art stickers with designs inspired by the American TV series; Breaking Bad. If you are a fan of this popular crime drama then why not decorate your home with a sticker from our great range. Various designs including the Breaking Bad logo and other iconic elements from the show such as Heisenberg himself.